Does anyone have any book suggestions for anti-alcohol that aren’t religious? I just finished “stop drinking alcohol” by Craig Beck, which I liked but I want to keep filling my head with anti-alcohol material and information. Thanks in advance. Annie Grace’s The Naked Mind. She also has a podcast. I swear I must be the only person who did not like This Naked Mind. I really disliked the podcast too. I wonder what it is that I didn’t like yet others did so much??? But anyways, so many people LOVED it so I won’t tell anyone not to read it!! Personally I like Drink, The Intimate Relationship Between Women and Alcohol by Ann Dowsett Johnston. I’m not sure it will be good for you though. Thank you @EarnIt even if i don’t connect with it like @VSue it will give me something to check out this evening while my mind tries to romanticize happy hour. And even though I am a man I’ll take a look at “drink” and see if it has something in it for me. The book is pretty fascinating in the way it talks about how we’ve been fed the romanticism of alcohol by marketers our whole lives. I am a pick-a-part person, and I enjoyed the way it demystified alcohol. That sounds right up alley! Do you all have suggestions of books you did like? I mentioned Drink above. Plus I loved Guts (a mémoire). I have Recovery on my shelf right now but since it’s Russell Brand it might be more religious than you like…though I don’t think he’s excessively religious. I dont have any suggestions but im following because i love reading! Me too. Plus it helps me keep whatever I’m focusing on at the forefront of my mind even if I’m not necessarily learning anything new. I started the naked mind. This is so true and it totally applies to everybody, men and women alike. There is so much cr@p in advertising, alcohol being only part of it. I ditched my cable TV about 10 years ago in part because of it, but it creeps into everything everywhere. 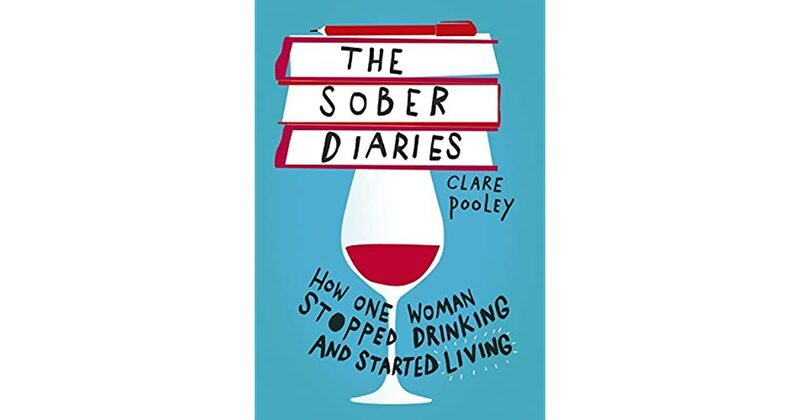 The Sober Diaries: How One Woman Stopped Drinking and Started Living. I am finding “the naked mind” book and podcast very helpful. Some episodes of course don’t work for me but a lot do and the book is definitely speaking in my language. This is an autobiography about an award winning journalist. First book I have read alcohol related, about twenty years ago. I was learning about alcoholism. My best friend was an alcoholic I discovered, followed by my sister. I was a social drinker then. This book deeply affected me. Not sure if it’s your style but my first go around I always loved reading about Zen Buddhism. The entire thought process is centered around keeping poisons from the body and the practice helped me reach some deeply seeded feelings that needed attention. I just read “this naked mind” and thought it was ok… It didn’t get me they way i hoped but it cold be helpful indeed. I just ordered “Pour Me” by A.A Gill anyone read it?? I could also recommend Duff mckagan´s (Guns N Roses) book “It´s so easy”.